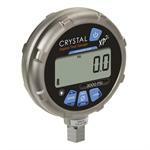 Software* to customize your Crystal XP2i digital pressure gauge or your 30 Series digital pressure calibrator. 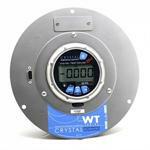 There is no easier, intrinsically safe, pressure recording system! 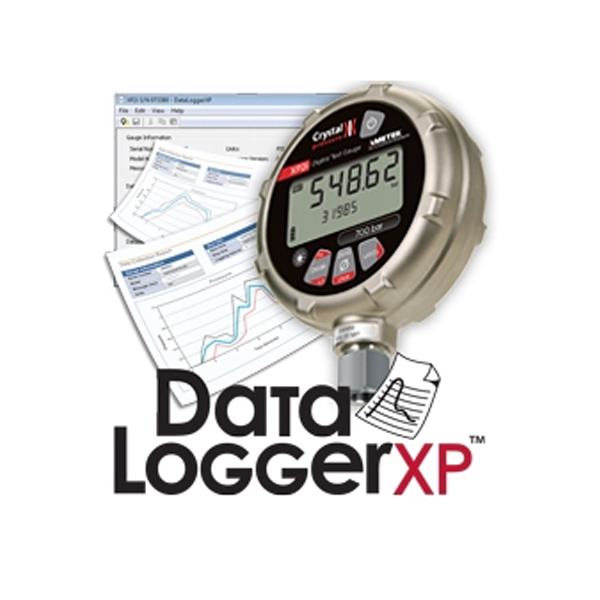 The DataLoggerXP software*, in tandem with the XP2i digital pressure gauge with a purchased DataLoggerXP firmware upgrade, forms an integrated data logging solution by collecting, saving and transferring data to a Microsoft Excel spreadsheet. With the XP2i's long battery life, you can record up to 32 000 pressure measurements over an entire year, without the need for external power supplies or battery replacements. Since the XP2i can measure vacuum, you can even capture pressure to vacuum transitions and much more. *Compatible with Windows 8, Windows 7 (SP1), Windows Vista (SP2), and Windows XP Pro (SP3). You can stop and start the datalogger from the keypad and record multiple data sets, or you can choose to record pressure at the press of a button. All readings have a time-stamp. All readings and events, such as pressing the zero button or weak battery conditions, are recorded with the time they occurred. 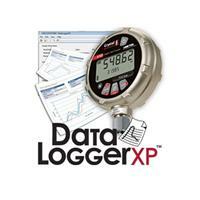 Once measurements have been recorded, connect the XP2i to any computer running the Windows DataLoggerXP application, download and save the data directly into a Microsoft® Excel spreadsheet (or if you prefer, a comma-separated text file). DataLoggerXP can use Excel template files to automatically format your data – an example template file is included. Convert your old "Wally Box!" Drop in conversion gauge allows you to upgrade your old analog standby from years ago! 0.1% of READING accuracy. NIST traceable, with cert.